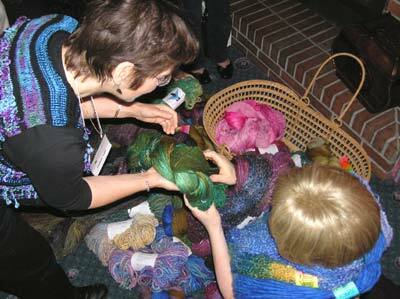 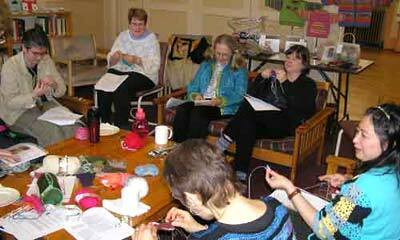 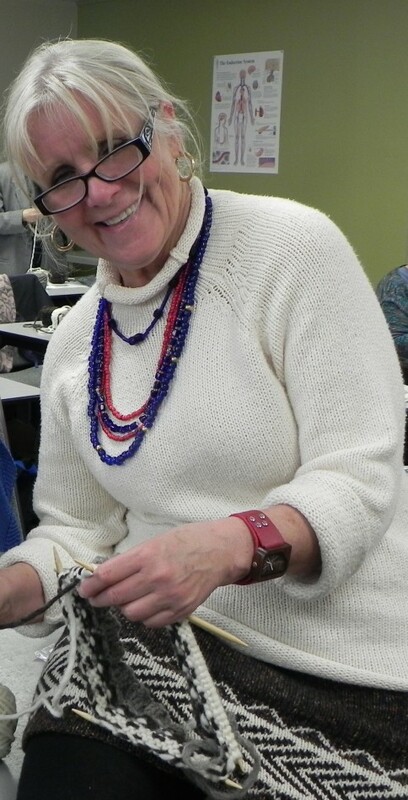 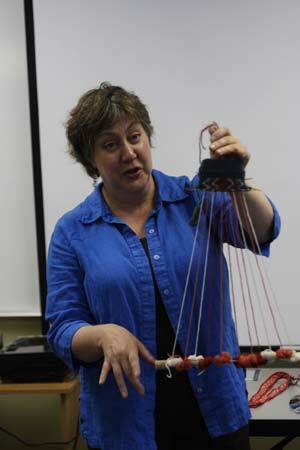 The West Coast Knitters’ Guild is dedicated to the education and betterment of our members. One of the ways in which we support this mandate is by hosting annual knitting workshops with professional knitters and knitwear designers. These workshops are partially paid for by membership fees. 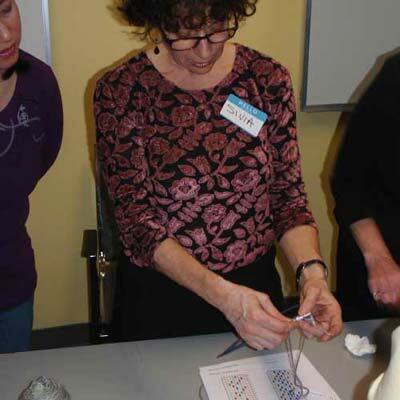 Some workshops are offered free of charge, while others are offered at a discounted rate, and with early-bird registration. 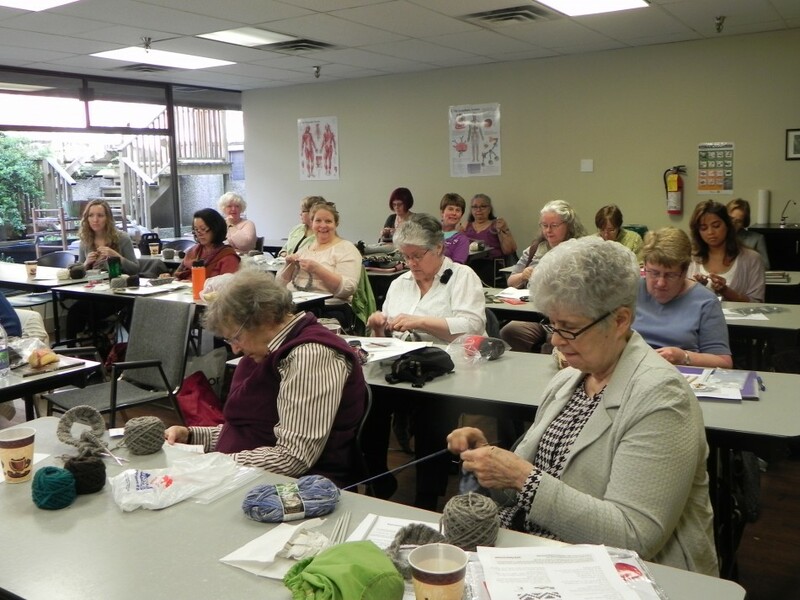 Our workshops are very popular – while it is often our goal to open our workshops to the general knitting community, there are rarely any spaces left once our members finish signing up! 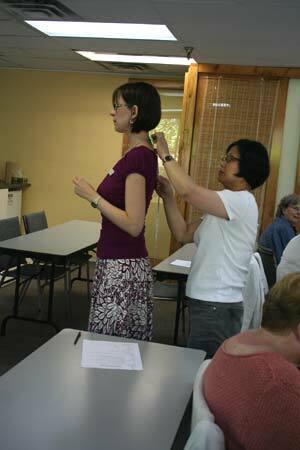 The following is a list of the workshops we have held over the years. 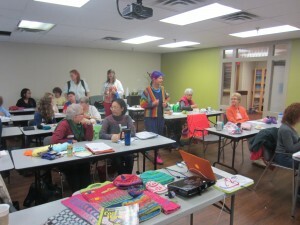 Upcoming workshops are announced at our monthly Guild meetings. Cat Bordi with Paulette L.